INTRODUCING THE STRONGEST, MOST ADVANCED SILVERADO EVER. When you combine a century of truck building know-how with 7 million miles of testing, you get an all-new Silverado that's bigger, stronger and lighter than the previous generation. One that's built on the legacy of the most dependable, longest-lasting full-sized pickups on the road*. 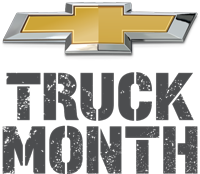 Copyright © 2019 | Houston Area Chevy Dealers | Vehicles shown in ads may not match vehicle in corresponding offer. *Dependability based on longevity: 1987 - July 2017 full-size pickup registrations. Must finance with GM Financial. Some customers may not qualify. Monthly payment is $13.89 for every $1,000 you finance. Example down payment: 4%. Not available with lease and some other offers. Take new retail delivery by 04/30/2019. See dealer for details.